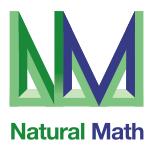 Join the open, free online event in the Math Future series at Natural Math. Dr. Joseph Mazur will talk about his new book, Enlightening Symbols. Come and listen to a short presentation, chat with like-minded people in the audience, and pose questions for Joseph. Joseph Mazur is Professor Emeritus of Mathematics at Marlboro College where he has taught a wide range of classes in all areas of mathematics, its history and philosophy. 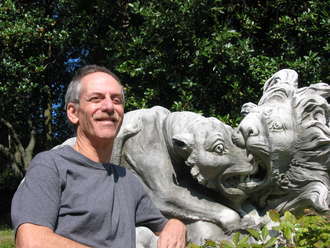 He holds a Ph.D. in mathematics from M.I.T., is a recipient of fellowships from the Guggenheim Foundation, the Bogliasco Foundation, and the Vermont Academy of Arts and Sciences, among others. He has authored many educational software programs, including Explorations in Calculus, the first interactive, multimedia CD package of simulations for calculus. He is the author of Euclid in the Rainforest: Discovering Universal Truth in Mathematics (Finalist of the 2005 PEN/Martha Albrand Award and chosen as one of Choice's 2005 Outstanding Academic Titles of the Year), The Motion Paradox: The 2,500-Year Old Puzzle Behind All the Mysteries of Time and Space., and What's Luck Got To Do With It?, a book on the history, mathematics and psychology of gambling. 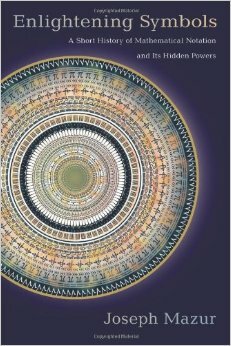 His latest book is Enlightening Symbols: A Short History of Mathematical Notation and Its Hidden Powers.